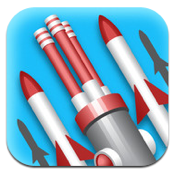 I know what you’re thinking – how many more tower defense games does the App Store need? Especially when the game in question carries a five dollar price tag? As it turns out, Tower Raiders 2 GOLD fromGianormous Games, LLC offers up some seriously above-average strategic tower gameplay. 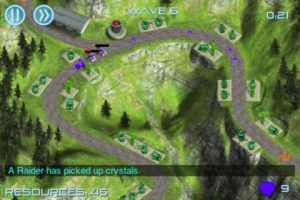 It may not be worth every penny to casual gamers, but tower defense addicts are certain to gobble up this excellent iPhone game offering. 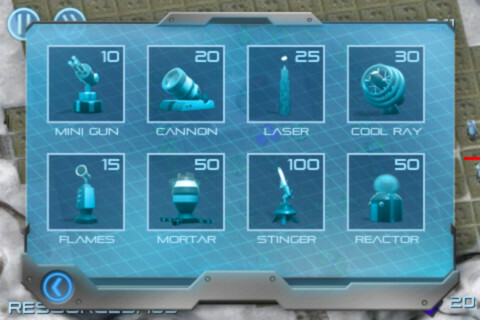 Ostensibly, you’re spending the game’s 24 challenging levels working to defend rare crystals from groups of raiders. With each successive wave, expect to battle more and more of those crystal-mad raiders. Noobs, rejoice: the tutorial is extensive…almost annoyingly so. 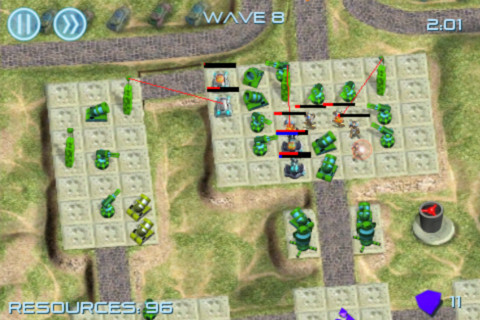 Unlike other iPhone games of its ilk, this tower defense game really forces you to strategize and properly place each type of weapon in the optimal location, rather than relying on big numbers of guns to mow down the enemy. 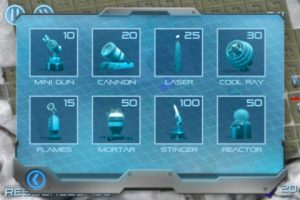 Every weapon in Tower Raiders 2 has unique attributes (and draw backs), as well as different effective firing ranges. And you can see it all more clearly than ever before with the latest update improving the game’s graphical resolution. One sure sign of an engaging TD game is an active fandom, and Tower Raiders 2 Gold has this in spades. With an active forum, Facebook support communities, and full GameCenter integration, this solo gaming experience practically comes built in with a new group of friends. If you can suffer through the glacial pacing of the tutorial (not an easy task for players with a great deal of tower defense in their gameplay history), you’ll find that Tower Raiders 2 GOLD is pretty, enjoyable, and worth the price of admission. Despite its flaws, gamers with even a passing interest in the genre are likely to get addicted. 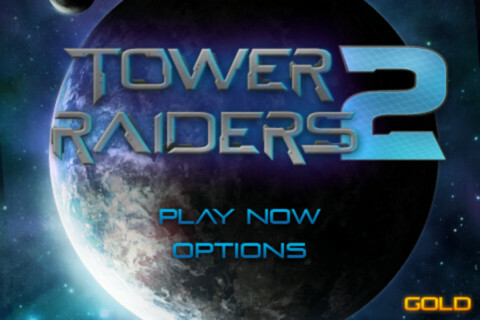 Tower Raiders 2 GOLDis compatible with iPhone, iPod touch, and iPad. Requires iOS 4.3 or later.